Patterson Development and Construction Company, L.L.C. 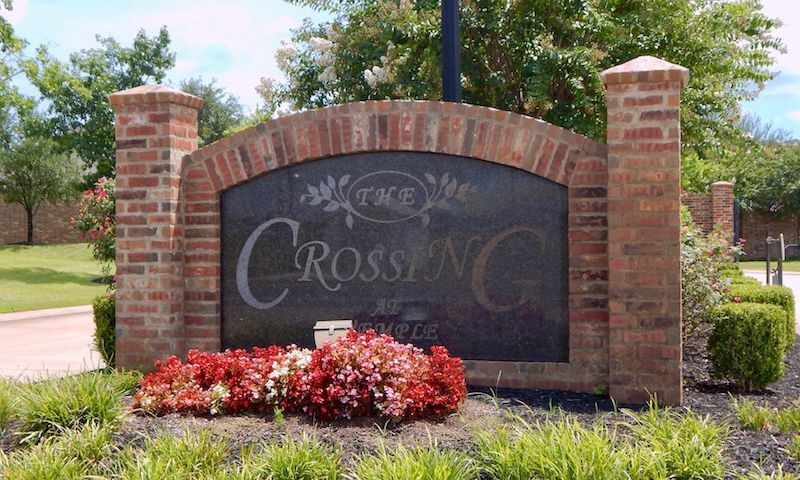 The Crossing at Wemple is a gated community in Bossier City, Louisiana. The neighborhood features 79 single-family homes encircling a serene community park with a pond. A homeowners’ association (HOA) maintains all common areas and provides lawn care for residents. Located in the charming Bossier City, The Crossing at Wemple is also a great jumping off point for enjoying the restaurants and entertainment available in Northern Louisiana. A surfaced walking path around the community pond offers a quiet respite right in the neighborhood. Residents of The Crossing at Wemple find plenty of green space to enjoy in this park and throughout the community. The HOA makes life easy for residents of this low-maintenance community. An annual fee covers mowing and edging of individual front lawns and maintenance of common green areas, the pond, and entrance gates. With the lawn taken care of, homeowners have more time for gardening or socializing with neighbors. Patterson Development and Construction Company, L.L.C. began construction of The Crossing at Wemple in 2011 and plans to build 79 single-family homes. These single-family homes range in size from 2,101 to 2,605 square feet and feature three bedrooms, two bathrooms, and an attached two-car garage. Homes are built with smaller lot sizes for less maintenance and lower cost without sacrificing great features. Kitchens boast granite countertops, while master baths include whirlpool tubs with a tile surround and a separate tiled shower. Homes are also built with a full security system and a fully-fenced yard with a garden. The Crossing at Wemple is located in the fast-growing Bossier City, where plenty of restaurants, shopping centers, and entertainment options can be found. A nearby CVS Pharmacy and Kroger Marketplace meet the community’s daily needs, while a shopping center down Airline Drive includes a Target, Belk, Best Buy, and Sam's Club. Golfers frequent The Golf Club at Stonebridge, an 18-hole course designed by Fred Couples and Gene Bates. For outdoor recreation, residents visit Cypress Black Bayou, which features a lake for swimming and fishing, campsites and cabins for rent, and a zoo. With quality homes and a low-maintenance lifestyle, The Crossing at Wemple offers homeowners the time to relax and enjoy this fun-filled area. Check back soon for more information on the lifestyle in The Crossing at Wemple. 55places.com is not affiliated with the developer(s) or homeowners association of The Crossing at Wemple. The information you submit is distributed to a 55places.com Partner Agent, who is a licensed real estate agent. The information regarding The Crossing at Wemple has not been verified or approved by the developer or homeowners association. Please verify all information prior to purchasing. 55places.com is not responsible for any errors regarding the information displayed on this website.